Heineken and Turkcell were big winners at The Loyalty Magazine Awards 2017, with Arla Foods another strong contender. This is the sixth year for the awards, which had a record number of entries of a very high standard. Heineken is breaking new ground with its programme that creates a bridge from retail to bar, by rewarding customers who buy beer in stores with the opportunity to earn free drinks when they visit a licenced bar. After its success at the 2016 Awards, Turkcell again impressed the judges, winning four categories, as well as the Central and Eastern Europe and Turkey regional award. Its “Shake & Win” mobile mass loyalty campaign won two awards; Yunus Gunce, a programme for Millennials, won Best Use of Communications, and its OHAL disaster and emergency aid programme won Best Use of Technology. In this programme, Turkcell provides free calls and data to any customer caught up in a disaster zone, and also offers help and assistance. Arla Foods wowed the judges with Karoline’s Mealclub, which offers customers recipes for whatever food they have in the fridge, and Raymond Rewards won the Middle East Africa and Asia region with a programme that encourages customers to donate their old trousers to the less fortunate. So far 210,000 pairs have been passed to those in need. Personality of the Year was this year awarded to founder and chairman of The Collinson Group Colin Evans. Editor of Loyalty Magazine Annich McIntosh described him as “one of the founding fathers of loyalty, and someone who is just as passionate talking about what he is doing now and what he is going to do next as he is talking about his very many achievements so far.” An interview with Colin can be found in the Winners Edition of Loyalty Magazine. A special award was given to Cable & Wireless for its Save Our Turtles campaign. The Seychelles telco achieved a massive 135% mobile penetration because the country’s citizens were so enthusiastic about the scheme, even non-customers were buying Cable & Wireless SIM cards. They also increased their customer base by 4%. At the same time, they raised awareness of the plight of turtles, and raised badly needed funds for turtle re-hab and protection from poachers. “Doing good and raising both awareness and badly needed funds for conservation seems the perfect mix of components for a loyalty campaign,” said the judges. Shake & Win is a mass loyalty campaign offered through Turkcell’s mobile application ‘My Account (Hesabim)’. Customers can earn gifts by just logging in to the app and shaking the phone. In previous Turkcell campaigns, benefits were triggered only after the customer sent an SMS to a Turkcell short code to confirm voluntary participation. The chance to receive a gift is renewed every Monday. Gifts include weekly/monthly data, voice, VAS or SMS packages. The packages are activated when the customer shakes the phone, creating immediacy. Karoline’s Mealclub has transformed Karoline’s Kitchen from an old-school recipe brand into a truly digital loyalty player. Technology delivers personalised recipe recommendations based on the food in a customer’s fridge. The more a customer uses the service, the more it becomes tailored to their likes and preferences. It thereby reduces food wastage amongst Danish families, while providing meals that please. The results are impressive: 1) An increase of 40% in purchase intent and 2) average uplift in NPS by more than 400%. Telco Turkcell’s GNÇ is one of the best known and reputable youth loyalty platforms in Turkey, but the introduction of a new age rule of maximum 26 meant it was necessary to communicate quickly and effectively to make sure customers were not disenfranchised during the change over. The scale of participation is impressive with 1.25 million new youngsters downloading the app in 2016 with offers targeted specifically to them. This was a 45% increase on the previous year. Shell Drivers’ Club is Shell’s global CRM programme. Although new members were happy to join, there was little long-term engagement; 56% of customers churned within the first three months and this needed to change. But fuel re-fills are very low-interest areas for customers. The solution was to offer customers key ‘moments of truth’ over four customer life stages. Shell reframed the offering under the campaign line “It’s The Little Things That Make a Difference”, helping to make the programme less transactional and more emotional. Brakes is a leading food wholesaler in the UK, catering for thousands of businesses including pubs and restaurants. 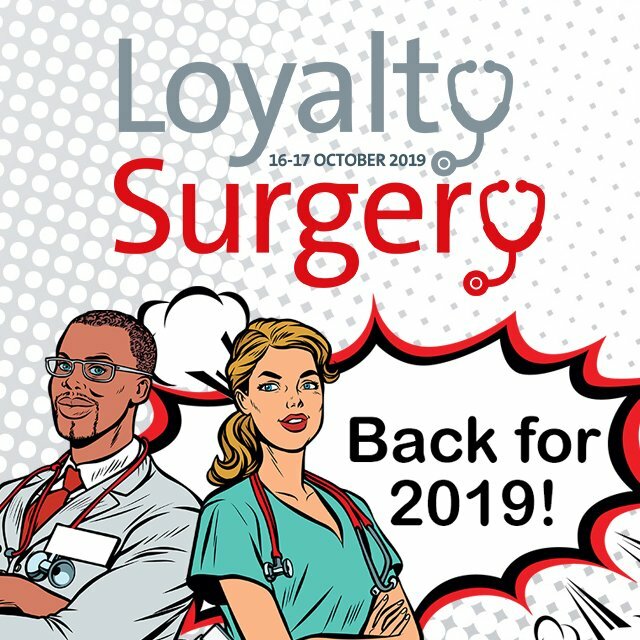 In 2016, working with Aimia, it developed a retention model and behavioural segmentation to deliver a cost effective and personalised loyalty experience that identified when customers were at more risk of churning. Using targeted direct marketing and the Brakes sales network, these customers were then re-engaged. Turkcell’s Natural Disaster and Emergency Aid Programme provides communication in emergency cases in many ways, whenever there is a disaster by giving customers free minutes, internet and SMS to connect them with their families and loved ones. They use their technical infrastructure to prioritize calls from the disaster area and set up support mobile stations. They also follow posts and tweets about the disaster, and if there is an emergency situation they share it with disaster recovery organization AFAD. In 2016 there were unfortunately many emergencies where Turkcell had to activate this programme – a total of 31 local and global cases. Karoline’s MealClub has transformed Karoline’s Kitchen from an old-school recipe brand into a truly digital loyalty player that through technology delivers personalised recipe recommendations, and reduces food wastage by Danish families. Primary results: 1) increase of 40% in purchase intent and 2) average uplift in NPS of more than 400%. It’s the first time a beer that is bought in the supermarket is worth a freshly tapped beer in a local bar too. No other beer brand ever built this bridge before. The method to cash in Beer Credits (operational in 2000+ bars in the Netherlands) is new and fits all venues: a unique verification screen on the user’s ‘Beer Credit Wallet’ app that only the waiter can validate. The app is a new way for Heineken to interact with fans that were anonymous before – a valuable source for 1.2.1 communication. Biertegoed was launched in September 2016 with a cross channel campaign. About one third of the Biertegoed users claim that their attitude towards Heineken improved because of using Biertegoed. The made-to-measure tailoring business is growing at a very slow pace in India with a major shift towards the Ready-to-wear category especially amongst younger (25-35 yrs) consumers. Raymond wanted to demonstrate that tailored trousers deliver a great look and fit and the company also wanted to engage customers with a larger philanthropic cause. Hence, Raymond launched the ‘Look Good. Do Good’ initiative where it took on the task to donate trousers to the underprivileged. Customers who drop off their old full-length trousers (those in a wearable condition) at any Raymond store receive free Raymond Custom Tailoring services. The campaign operates in 750+ Raymond shops across 400 cities and 500+ multi brand outlets with the necessary tailoring expertise. go4more from National Bank of Greece is the first programme in the country to reward retail clients not only for their daily purchases with cards but also for their full banking relationship with NBG. go4more has 650,000 members who collect loyalty points from more than 4,500 affiliated merchants. These points can be redeemed either at those merchants or for selected NBG products. On April 2016, the Bank launched a totally redesigned version of the go4more app, with a refreshed look and feel which was distinguished by its easy navigation and features. In 2016, the VIP club signed up a new member every 23 seconds. Today, almost 50% of UK pet-owning households have joined, spending on average 46% more than non-members. They helped increase market share from 35% to 38%. With more than 150,000 registered active members in less than one year from its launch, NestléNoiazomai (NestléCare in Greek) is the first complete and biggest customer loyalty programme for all Nestlé Hellas products, offering innovative solutions to reward Nestlé customers. Mobile is at the heart of the programme, with features such as the “receipt scan technology” based on an Artificial Intelligence (AI) algorithm, that connects all Nestlé Hellas product purchases and delivers loyalty points to customers. The algorithm automatically validates each receipt and gives points according to the number of Nestlé products and their value, and sends a verification Push notification for every successful validation. Value through the Nectar programme is delivered to Sainsbury’s customers in a more relevant way. Collect and Spend events tie up with key trading periods in the year and are designed to support customer lifestyles (such as extra value on entertainment rewards during the summer holidays). An impressive company realignment of Frankfurt Airport Rewards using an innovative points box, which makes it possible for customer card scans to take place at all partners, whether digital or physical, with real-time points credit for immediate redemption. This integrated system makes data collection and analysis and campaign management possible, benefiting partners. For customers it facilitates click, pay and home delivery and click, pay and gate delivery. The Shake & Win campaign was offered through Turkcell’s mobile application My Account (Hesabim). Customers have the opportunity to earn gifts by just logging in to the app and shaking the phone. The offer is renewed every Monday and customers are digitally engaged with a simple yet entertaining interface. Heineken Biertegoed (Beer Credits) rewards consumers who buy Heineken in retail with a glass of beer in their bar of choice. The app is a newly developed media platform for Heineken and for on-trade customers who can both communicate directly with consumers on their own page in the app. Heineken developed a unique method to redeem Beer Credits with the app at participating bars and restaurants. Customers sign up for a free personal account that serves as their wallet for Credits. We all experience the problem: Food in the fridge, but no idea what to cook. Now a company has come up with a way to score points on an environmental front, by cutting food waste, saving customers money by utilising ingredients they already have in the cupboard and fridge, and building a bond by suggesting items for future shopping trips. The Baby and Beauty category in UK supermarket Sainsbury’s grew 1.6% last year, driven by customers shopping more frequently. This was true of most subcategories except Haircare, which saw a 4.3% decline in spend. A haircare loyalty programme was therefore designed to drive incremental category growth by championing P&G brands and increasing spend per customer by making them feel rewarded. In 2012, Aimia identified a significant skills gap in the charity sector, which resulted in little being done with the high volumes of precious data held. The Aimia Data Philanthropy programme sought to listen and learn from the charity sector in the UK, and increasingly in other countries, to find new and innovative ways of empowering charitable organisations to discover how insights from their data could enable them to better serve their beneficiaries. Aside from delivering growing social impact, Data Philanthropy has helped Aimia more fully engage with its community, inspire employees and demonstrate its values. Baxi Heating completely re-built its loyalty programme around core benefits that really matter to installers. It uses an app so that installers can scan barcodes and register boilers while they are on the site, and features automated communications and reporting plus ensuring reduced internal administration. The Pallas Foods loyalty programme, Relish Rewards, promises unrivalled value in a market dogged with high levels of price sensitivity and fickleness. With the objective of increasing sales and making customers feel rewarded for their loyalty, this scheme has successfully disrupted the market by being entirely self-funded. Winner: Checkers with UNGA – Little products for everyone! In 2016, South African supermarket Checkers and its suppliers achieved unprecedented results with the first ever South African “Little Shop” campaign. They shrunk 29 of the most iconic and popular Checkers brands into miniature collectibles for kids. With each 150 Rand spent, shoppers received one of the collectibles in a blind flow-pack. The campaign was a massive hit in terms of results for both Checkers and the brands and exploded on both traditional and new media. The Little Shop collection is completed with a mini basket, trolley and storefront. By asking the suppliers to chip-in, Checkers was able to run this campaign very affordably. The five million VIP Club members account for 66% of store revenue, and the scheme has the details of 15.4 million pets on its datbase. Almost 50% of UK pet-owning households are VIP Club members, and they spend on average 46% more than non-members. Eight years since the launch of Subcard, 2016 saw another year of continued growth across UK, Ireland, Germany, Austria and Finland. Customers are spending over £14m a month and following a successful launch in Finland this year, the scheme is still recruiting a new member every 3.5 minutes! Turkcell was voted The Loyalty Magazine Awards “Organisation of the Year” in 2016. This year the telco has again impressed the judges with its thoughtful focus on customer loyalty, winning both Best Loyalty Programme within Telecoms and Best Use of Gamification for its Shake & Win mass loyalty campaign; Best Use of Communications (including Social Media) for its amendments to Yunus Gunce, its programme for Millennials and Best Use of Technology for OHAL, its natural disaster and emergency aid programme. This massive achievement makes it a clear winner within its geographic region of Central and Eastern Europe and Turkey. Heineken is breaking new ground with its programme that creates a bridge from retail to bar, by rewarding off-licence customers with free beer when they visit a licenced establishment. The judges agreed this was a very significant development, well executed and thoughtful, that took full advantage of the potential of mobile. Heineken won the Best Use of Mobile within a Loyalty Strategy and Best Loyalty Industry Innovation categories and is a worthy winner of the Western Europe regional award. Karoline’s MealClub has transformed Karoline’s Kitchen from an old-school recipe brand into a truly digital loyalty player. It delivers personalised recipe recommendations through My Meal Plan that become more refined as people browse on Arla’s website, and interact with emails or the Karoline’s Kitchen app. The customers can also ask for a recipe based on the contents of their fridge. 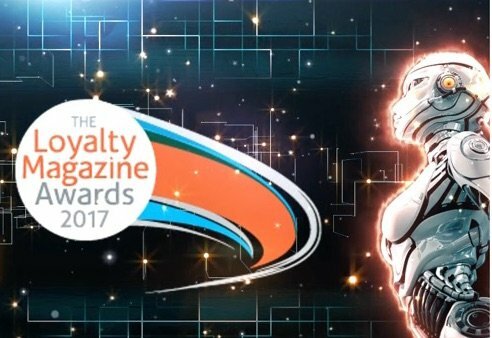 The Loyalty Magazine Awards so it pleased the judges enormously to vote Raymond Rewards the winner for the Middle East, Africa and Asia region. Raymond Rewards is also winner of the Best Loyalty Programme Marketing Campaign and demonstrates how successful a CSR approach can be to loyalty, growing revenue by 54% during a campaign that offers personal tailoring services to customers if they donate their old full length trousers for use by the underprivileged. Customers have so far donated 210,000 pairs of trousers, with the number of new customers trying the Raymond Tailoring services up by 10%. Well done Raymond Rewards! Only 97,000 people live in the Seychelles, but when Cable & Wireless launched their Save our Turtles campaign, the response was so great, they managed to raise the equivalent of £15,000 through customers donating their loyalty points, to stop poaching and to help with rehab for the turtles. To put this in context, if this campaign had been similarly successful in the UK, they would have raised £10m. So Loyalty Magazine gives this special award on behalf of the turtles, to Cable & Wireless and to the people of the Seychelles, as a thank you for your outstanding achievement. Colin has been a leading figure in the loyalty business for more than four decades. Running an organisation that spans the world, he has worked with over 90 airlines and 15 out of the top 20 hotel groups. He is justifiably described as one of the founding fathers of loyalty, and a worthy winner of the Personality of the Year award 2017. 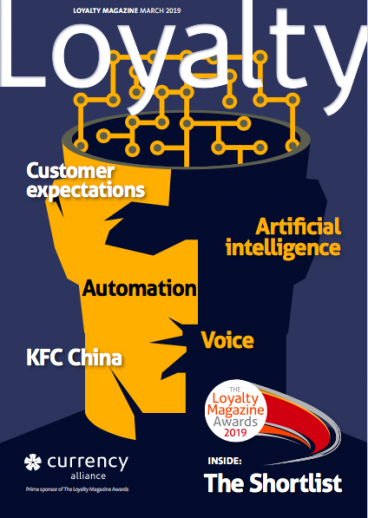 Read full details of all the winners, and an exclusive interview with Personality of the Year winner Colin Evans in the latest printed issue of Loyalty Magazine.